Brushing and flossing should be a part of your daily routine when you practice healthy oral care habits. It’s important that you do this thoroughly in order to keep your breath fresh, your teeth clean, and your gums healthy. However, it can sometimes happen that your gums bleed when you brush or floss. Bleeding gums can be an indication of a few different things or it can mean nothing at all. 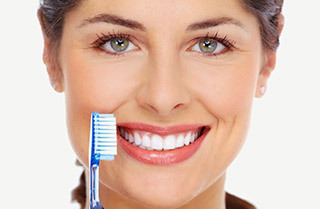 Visit our dentist in Pasadena if you become concerned about this. Some causes of bleeding gums are unavoidable. The good news is that there are things that you can do in order to help prevent the problem. We encourage you to brush and floss daily and also try to cut out smoking. Please visit our dentist at Prestige Dental at least twice a year for a professional cleaning and exam in order to ensure that no complications will occur. These visits to our dental office will remove plaque, staining and tartar build up on your teeth, and will allow our dentist to detect gum problems.